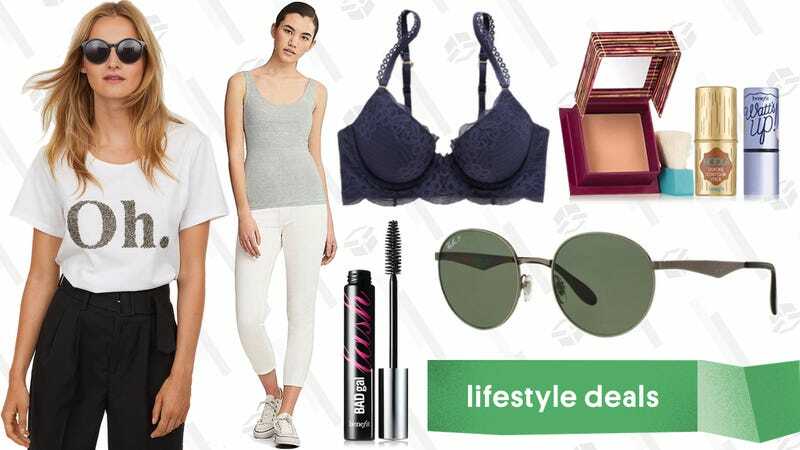 Discounted Ray-Ban sunglasses, $7 Uniqlo AIRism, buy one, get one free bras and bralettes at Aerie, and more lead Friday’s best lifestyle deals. Benefit Cosmetics is by far one of my favorite makeup brands. The products are high-quality and the packaging is one-of-a-kind. I know I’ll be stocking up during their Sale-abration, with up to 50% off some really awesome, including their cult-favorite Porefesisonal Primer, Hoola Bronzer, and more. Plus, once you hit $35 (which won’t be too hard), use the code FREERIDE and get free shipping. It’s probably about time you replaced some of your bras that have been sitting in your drawer since you were in college. Listen, I get it. Bras are pretty damn expensive. But at least Aerie gets that and is helping you restock with their buy one, get one free sale on all their bras and bralettes. Uniqlo’s AIRism line is one of your favorite undershirts, but the technology extends to underwear, outerwear t-shirts, camis, bra tops, and more. Right now, Uniqlo is marking down some of their AIRism styles for both men and women, to just $7. H&M’s fast-fashion is even faster and cheaper, with their huge sale going on right now. Get an extra 25% off their entire sale section with the code 3157. It’s silly not to at least take a look. Because H&M does tend to be on the buy now, throw out later track of fashion, look for the premium pieces, rather than the lower end ones. Go against your entire nature and change the drop down to show Price: Highest to Lowest. Trust me on this on. You don’t need to spend a ton of money to get Ray-Bans. Right now, use the code KJRAY and choose from 13 different styles of shades from Daily Steals for just $69 each. The plethora of sizes and shapes means they’ll fit most face shapes, and the 100% UV protection means you won’t need to worry about anything while wearing these out in the sun for long periods of time. Summer is settling down (sort of)a, and if you’ve been putting off going to the gym because the weather’s bad, it’s time to give up. PUMA is having a massive Private Sale with up to 75% off over 1,800 items, full of athleisure and sneakers. Let’s just say your wardrobe will look like it’s ready to hit the gym, even if you aren’t. Joe’s New Balance is the premiere online outlet for...New Balance shoes, obviously. Right now, they’re giving you a deal you won’t want to miss. Grab a pair of Fresh Foam Veniz sneakers, using the code KINJAVENIZ, for just $33 and free shipping. Plus, they have a ton of other footwear and apparel markdowns across the site as well. Anthropologie will always be a good destination to start looking for something unique. With 20% off all dresses, no code needed, that uniqueness is that much more affordable. Just add your favorite pieces to your cart and watch the prices drop. ThinkGeek is helping the nerds in your life stock up on geeky paraphernalia. Score up to 80% off of a ton of products and apparel during their Anniversary Week Sale (it’s been 19 years!). There are seriously hundreds of items to choose from, which means every corner of geekdom is covered by this sale. Sous-vide’s ease-to-results ratio is so good, it’ll feel like you’re cheating at cooking, and if you haven’t already gotten yourself a circulator, you can fix that today for as low as $56. The four cheapest Gourmia models in today’s Amazon Gold Box all seem the same on paper, just with minor design tweaks through the generations. I’d probably get the cheapest of the four that hasn’t sold out. For $75 though, you can upgrade to a Wi-Fi model, which allows you to set up your water bath in the morning (not with food in it, obviously), and then start your circulator on your way home from work, so that your water is up to temperature when you get home. Whichever circulator you choose, these prices are only available today, and could sell out early. This giant clock has some extra features like a countdown mode, a stopwatch, and even a thermometer, but it’s okay if you never get around to using them. 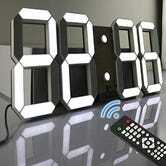 It’s a giant digital clock, it looks awesome, and it’s as cheap as it ever gets right now. That’s enough. It’s been down to this price for a little while on Amazon, but it’s been out of stock for a lot of that time. Try not to panic, but you’re probably pooping all wrong. Luckily, there’s an easy solution: a Squatty Potty, either the 7" model or the 9" model, marked down to $20 today from the usual $25. 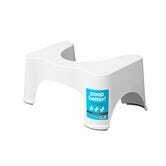 Squatty Potty is designed to lift your legs into an ideal bowel movement position, and according to Amazon reviewers at least, it really works. I can’t really overstate how popular this thing has been with our readers over the past year or so, so it’s time to purchase or get off the pot. Choose whichever model works best with the height of your toilet, but if you aren’t sure, the 7" tends to be the most popular. Doze off with these discounted pillow 2 packs from Amazon. Although they don’t have the brand recognition of My Pillow, they are one of Amazon’s top-selling brands. The king and queen sizes are discounted about $10 - $5 off to $28, and they’re designed for back and stomach sleepers. So if it’s time for a pillow refresh, pick these up before this deal hits the snooze button. 15% Off Select $50 Orders | eBay | Promo code POPULAR. Minimum $25 purchase, maximum $50 discount. eBay’s running another big sale, this time taking 15% off thousands of itemsfrom popular brands with promo code POPULAR. This deal isn’t sitewide, but you can browse through eligible items here, and sort through the deluge by category or by seller. Just note that there’s a $25 minimum purchase requirement, and that the most you can save with the coupon is $50. If you’re a bit overwhelmed, I’d start by checking out the Anker (hint: check out the refurbished Capsule projector for $221), Adidas, and Worx outlets, all of which offer a ton of selection and great prices, even before you factor in the promo code. Dyson is also included, and is perhaps the brand with the best eBay presence of all. The 15% off plus the company’s refurb discounts mean you can get a great vacuum like the Dyson V7 Animal for as little as $183. It’s too hot now, but very soon, you’ll happy to hang out around a fire pit for a little extra warmth. 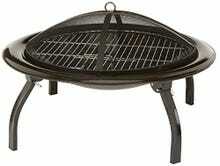 This 26-inch AmazonBasics one has a mesh screen, log grate, all the fire tools included. At $43, this AmazonBasics fire pit hasn’t been this cheap since Black Friday and it folds up for easy storage. They normally sell for $40, but you can get a pair for $33 right now, no promo code required. 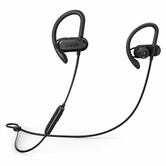 Even if you already have a set of wireless headphones, it never hurts to toss an extra pair in your gym bag or luggage in case you forget them. 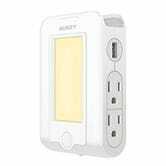 This Aukey surge protector orients its four AC outlets and two USB ports to the side, which is great for hiding behind furniture. But it’s also a night light and phone stand, which is sort of contradictory to the furniture thing, but I guess you could use it either way. Get it for $14 with promo code AUKEYP06.